Travelling has perpetually been an important aspect of life and if you are on your way to Los Angeles on a business trip, you surely should sort your travelling itinerary right from the onset. 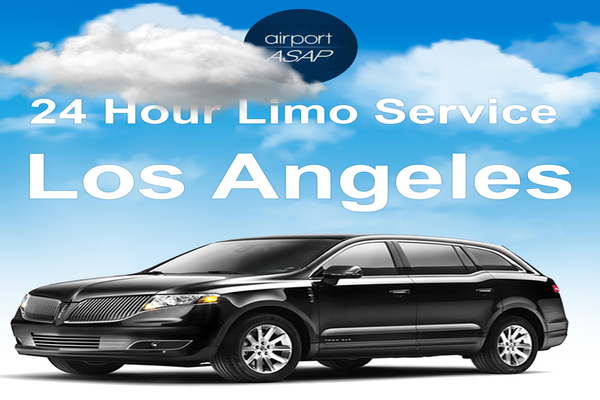 At Airport ASAP, we offer the best 24 Hour Limo Service in Los Angeles. Rest assured you will have the best experience with us. Limousine exhibits the essence of luxury and we often associate this swanky car with either royals or the rich entrepreneurs and luminaries. In that case, it is pretty obvious on your part to have a set of queries and doubts regarding its feasibility in everyday ride especially in terms of cost value and availability. Frankly, for your everyday travelling purpose in LA, there is no better car hire service than Limousine as even though it is one of the most luxurious cars in the world, it is still affordable in terms of the car hire service and is available for round-the-clock. Corporate travelers travel to different parts of the world and for them, it is necessary to have an easy and comforting ride wherever they go. So, if you are on a visit to LA for work and want to eradicate the remotest possibility of inconvenience in your travelling, trust 24-hour limo service Los Angeles to help you with the most hassle-free ride. At Airport ASAP, we are extremely careful about our clients’ comfort and thereby do not leave any stone upturned to offer them a stress-free navigation. A classy ride with professional chauffeurs – With Airport ASAP’s 24 Hour Limo Service in Los Angeles, you can ensure a fast, friendly, safe, and cost-effective Limo ride for 24/7. Your business trip will nothing short of a luxurious travel with Airport ASAP. Hire us for having a reliable car hire service. For business travelers, it is important to create the right impression on their associates and exhibit a particular lifestyle of class and grace. By hiring a limo car service, you can enjoy a pleasurable drive and make an impressive appearance at an important conference or meeting. It will enhance your personality and give you the comfort that can hardly be found in any other car hire service in LA. Our professional chauffeurs are indeed the best in their job thus look no further and hire us for your convenience. Alluring corporate discounts – Gone are the days, when people used to avoid Limo, thinking it will ask for a costly investment. In the present scenario, you can get it in a rather discounted price that too with no worries related to the hidden price. At Airport ASAP, we bring you the best business limousine service in Los Angeles. Simply open a professional executive airport service and corporate transportation accounts with Airport ASAP and start enjoying a worthwhile ride in the roads of LA. You will certainly cherish this experience with us. Fleet of Limos – At Airport ASAP, you will come across a myriad of latest Limos for corporate travellers. We provide the most reliable and relevant fleet of Limos that too at its finest glory. If you are looking for the best 24 hour Limo service in Los Angeles, you surely would find an awesome collection of Limos at Airport ASAP. An accommodating car for all – Limousine is one of the greatest choices for corporate executives as it comes with a large capacity and can easily accommodate a large number of people. So, if you want your folks to accompany you in a ride, you surely can’t get anything better than Limousine. At Airport ASAP, you shall indeed find the best deal with it. Indeed 24 hours Limo Service in Los Angeles can help you with an incredible service and it is definitely more than just a luxury factor. Rent Lax Limousine service and make your corporate travelling a convenient affair. Hurry up and book now! Previous Previous post: Why Do You Need Limousine Services Los Angeles?